Just as puppies need early socialisation they also need early familiarisation of the grooming process. At Yuppy Puppy we recommend your puppy to be 11 weeks of age for their first trip to the grooming salon, this is after their vaccination program has ended. Your puppies first visit is familiarise them with the different smells and sounds of the salon. The critical period for puppy socialisation ends at around 16 weeks, so it is vital that your puppy experiences a positive, comfortable and enjoyable time at the groomers before this time. A positive first visit to the groomers will set your fur baby up for a lifetime of enjoyable grooming sessions, on the other hand if your puppy is traumatised by a groomer with no knowledge or understanding of puppies, this will lead to a lifetime of fearful visits to the grooming salon. 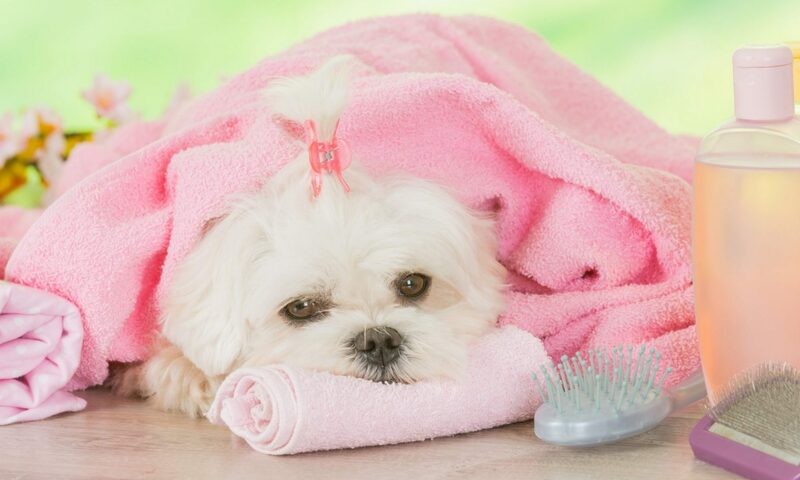 Yuppy Puppy strongly suggest that you utilise the same grooming salon and groomer, this way you puppy can get to know and trust your groomer and look forward to their visits. Jaimee and Angela are well equipped and confident in handling puppies, they have spent many years raising Standard Poodle babies. They have performed countless puppy character tests and understand and can recognise different traits in each individual puppy. As a responsible dog owner there are a few things you can do at home with your new puppy to get them ready for their first trip to the grooming salon such as, playing with their feet, touch in-between their toes, touch their face, hold their face, look inside their ears, open their mouth, lift their tail, touch around their tail and lie them on their back holding them on your lap.